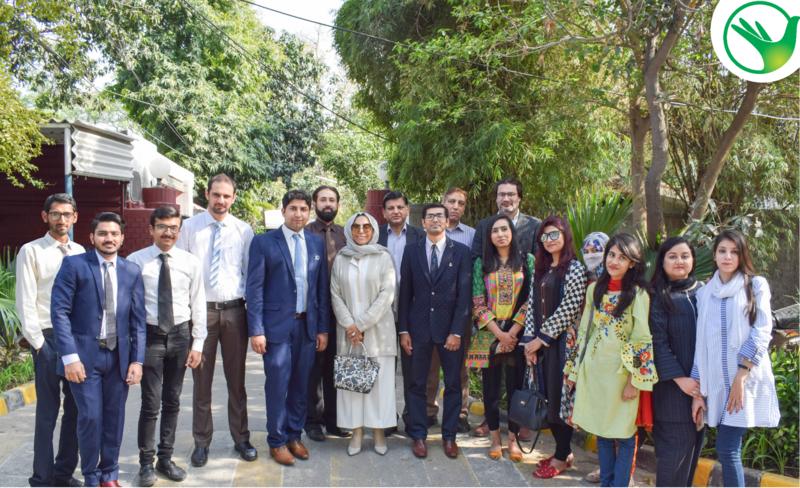 A meeting was held under the chairmanship of Transparent Hands Medical Advisor Dr. Shehla Javed at The Punjab Club on 19th March, 2019 along with Mr. Raheel Abbas, Director of Operations Transparent Hands and Dr. Javed Akram, Vice Chancellor of the University of Health Sciences (UHS) Lahore. The main agenda of the meeting was to discuss further expansion possibilities in the healthcare sector across Pakistan. Dr Shehla Javed, who is the CEO of Akram Medical Complex and also the Founder President of Women Chamber of Commerce stated on this occasion, “with this strategic meeting, we want to focus on healthcare issues in the most deprived areas of Pakistan and how we can further work together for their better health and well-being”. Further adding to this, Dr. Javed Akram said, “we’d be focusing on conducting more medical camps so that the required healthcare is delivered to needy patients on time whether its medical treatment or surgical treatment. There should not be any delays that might turn into worse health conditions”. Akram Medical Complex is a proud medical partner of Transparent Hands which has been conducting surgeries of deserving patients who are registered through us. The hospital provides surgical treatment without any discrimination to every patient regardless of his gender, race, religion or cast. Both Transparent Hands and Akram Medical Complex believe in helping patients through the most advanced and quality healthcare services. Pakistan has shown improvement in its health framework but the efforts are not much satisfactory as compared to the increase in population in the country. There is still a lot to be done in various regions of the country where people cannot even afford basic necessities of life, let alone healthcare services. Both the organizations are committed to improve the healthcare system in the country specifically in rural areas.